Trying to decide on getting some chickens/and or goats? Here, let me help you out with your decsion. Why you SHOULD get yourself a sweet little brood of chickens and a couple of cute playful goats? Because, they are just so darn cute! Seriously. Watching a chicken chase after something is the funniest thing you might ever see. They run with their little heads down, bottoms up and their shoulders are in a stance that is akin to a big burly football player prepared for the big tackle. Having goats eat from your hand is such a fun experience for the whole family to enjoy. Every day you get to kind of feel like you are on an episode of Little House on the Prairie. I always envied Laura. 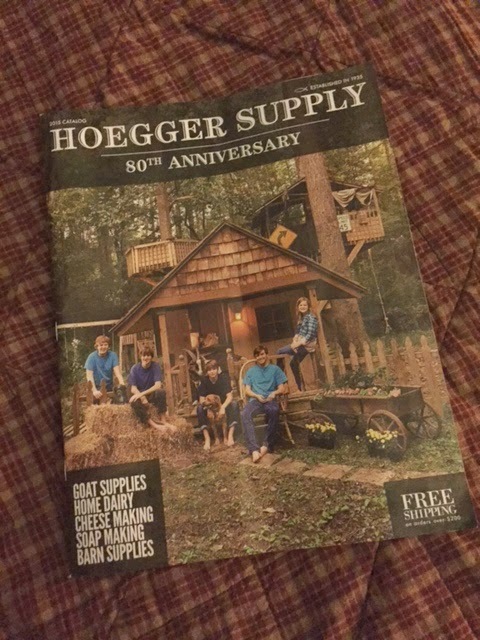 Instead of having magazines such as Fitness, Time, or People lying around your house, you, instead, have Hobby Farms and the Hoegger Supply catalog for your leisurely browsing material. Nothing better than farm fresh eggs. Watching the antics of a goat is entertainment at its finest. 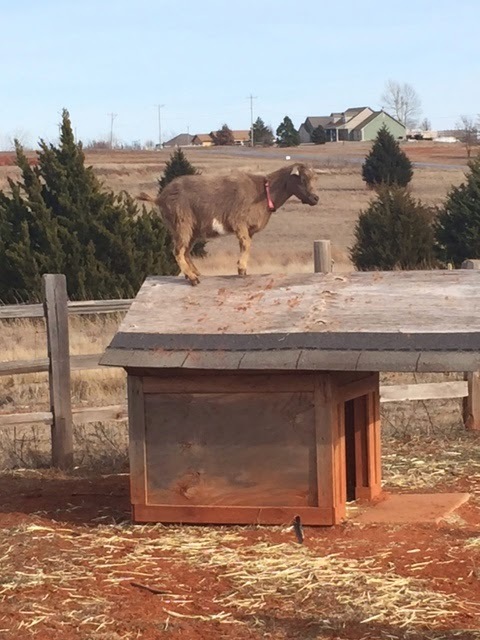 Josie loves to stand on top of their little mini-house. While all the other kids are learning how to say “dog” and “cat” during Spanish class, your kids will want to learn how to say “chicken” and “goat”. When your rooster has had a frightening day, he will wait for you on your back porch and want you to carry him back to his chicken house. Why you should NOT get yourself a sweet little brood of chickens and a couple of cute playful goats? Taking care of animals in the rain is not all that enjoyable. While learning about the artist Jim Davis during art time, your son will draw his own cartoon character (as instructed). It will be of a big funny chicken…with a rooster on top of her. He will then share it with the rest of the children in class and proceed to divulge more information about his drawing. “Roosters like to sit on top of chickens all the time. It is how they stay warm.”. You will turn red and (because you are laughing uncontrollably) exit the room. 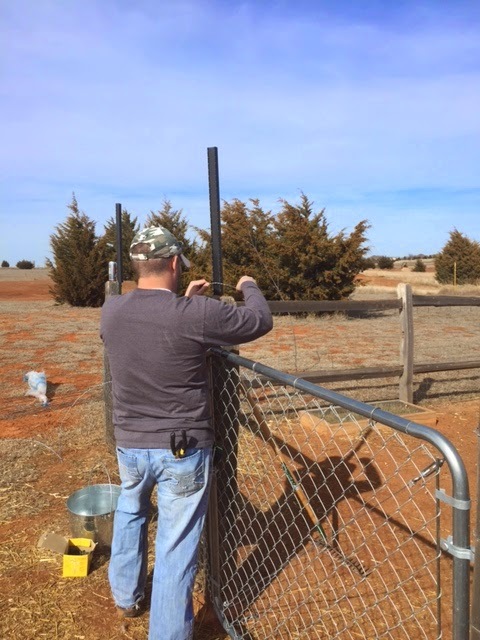 Your chickens will all decide to flee the chicken yard at the most inopportune time (because you may or may not have remembered to close their gate). You will have to round all your chickens back up. This will, in turn, make you and children late to their Spanish class. So there you have it. I hope I have made your decision easy for you. Clearly, having chickens and goats is the way to go.